An unfortunate incident took place this weekend in Port De Peche Kelibia, Tunisia, where nine Giant Devil Rays were landed. 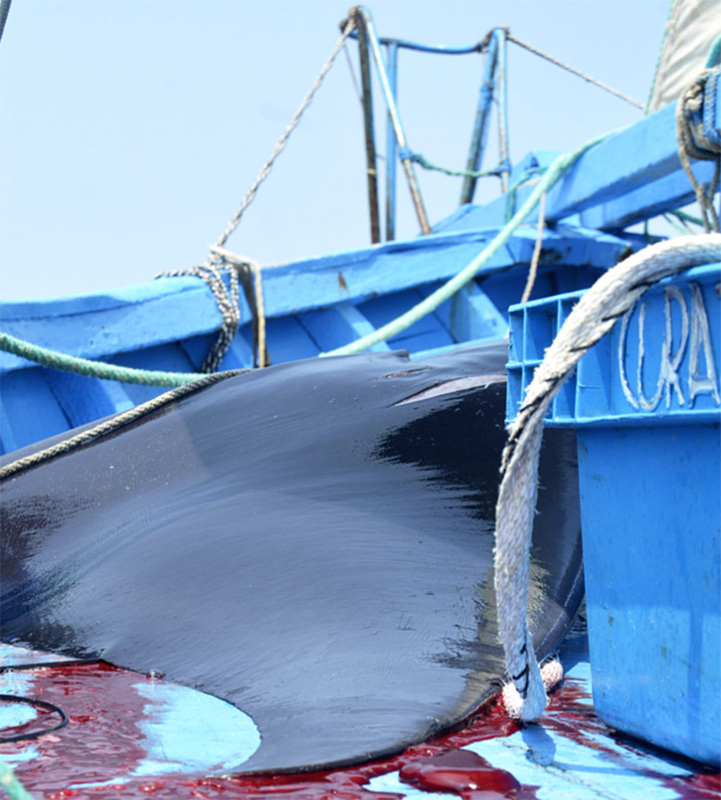 The rays were captured as bycatch by a purse seine and consequently landed and sold. The Giant Devil Ray Mobula mobular (Bonnaterre, 1788) is one of the charismatic animals of our oceans with recent studies suggesting that it is a cosmopolitan species. The Mediterranean population of the species has suffered a serious population reduction of at least 50% over three generations (60 years), as a result of incidental bycatch in several locations within its range but also due to the recently discovered fishery directed by Palestinian fishers. Although it is possible that these animals were caught accidentally, it is required that fishers release them alive. In the reported case, the individuals were captured with purse seine a fishing method that allows the animals to be released without hauling them aboard, thereby ensuring their survival. It is particularly important that the competent authorities pay close attention to such incidents, taking into account the existing protection and conservation status of the species, and the fact that such accidental captures could allow the development of an illegal market. This could threaten the survival of the Giant Devil Ray, a species that exhibits low reproductive and growth rates, long lifespan and migratory nature. International legal and binding conservation measures for sharks and rays have been established in the Mediterranean, but the implementation is generally poor. We call upon the Tunisian state to adopt a domestic protection measure for the Giant Devil Ray and all species included in the GFCM/36/2012/3 list, and to further enforce the implementation of all existing binding measures that are yet to be effectively enforced and could contribute significantly to the conservation of this charismatic species. In addition, we urge all Mediterranean countries to co-operate and enforce such commitments. In parallel, it is important to educate and inform fishers, involved stakeholders, and the general public on the value and status of such iconic and unique marine animals, that serve as flagship species for the conservation of the Mediterranean basin.